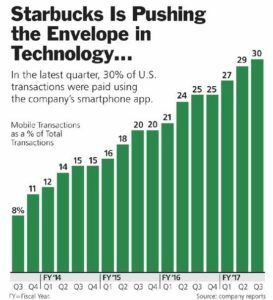 Why was Starbucks, a coffee retailer, able to gain more adoption of mobile payments, with 30% of transactions through mobile compared to Apple Pay, which is only used by ~5% of customers? 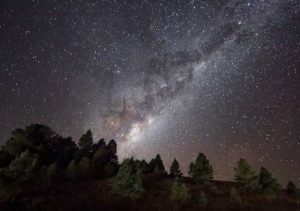 “Lost in Space:” can the crowd help NASA find items on the International Space Station? ‘Candy Crush’ Was a Blockbuster: Can King Digital Capitalize? Today, Starbucks is continuing to think about how they can continue to use their digital platform to increase customer loyalty and drive higher spending. They’ve expanded their mobile platform beyond payments and rewards to include ordering and personalization. Is Starbucks’ success replicable? I believe two elements of Starbucks’ model could create the same level of viral success for other retailers or restaurants. First, their digital and payment experiences must be tightly linked to a loyalty or incentive program. Secondly, critical to Starbucks’ success was also its role as a common daily purchase for rewards users. Consumers quickly saw the value of the loyalty card, the ease of payment and developed a new habit to pay through the app. Without being a store or a restaurant that a consumer frequents often, I don’t believe consumers will invest in a retailer’s mobile app. Consumers will likely only invest in digital experiences with a limited number of core retailers that they interact with commonly and derive immediate value from. 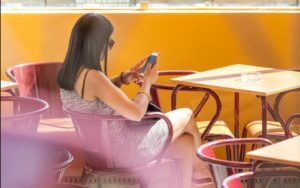 So, it is likely only a handful of retail outlets, including Starbucks, will be able to pursue this strategy successfully, while others may have to find another way to engage and interact digitally with their customers. (1) Jvg. “How Starbucks Is Turning Itself into a Tech Company.” VentureBeat, VentureBeat, 12 June 2012, venturebeat.com/2012/06/12/starbucks-digital-strategy/. (2) Jargon, Julie, and Lisa Beilfuss. “Starbucks Sales Growth Disappoints.” The Wall Street Journal, Dow Jones & Company, 21 Apr. 2016, www.wsj.com/articles/starbucks-earnings-forecast-disappoints-1461269882?utm_source=Triggermail. (3) “5 Shots Of Innovation From Starbucks.” Ogilvy.com, Ogilvy, 12 Nov. 2015, www.ogilvy.com/topics/tech-innovation/5-shots-of-innovation-from-starbucks/. (4) Eule, Alex. “Starbucks Teaches Silicon Valley a Lesson in Tech.” Barron’s, Barrons, 19 Aug. 2017, www.barrons.com/articles/starbucks-teaches-silicon-valley-a-lesson-in-tech-1503115292. (5) “McDonalds Joins the Mobile Order-Ahead Craze.” Business Insider, Business Insider, 7 Mar. 2017, www.businessinsider.com/mcdonalds-joins-the-mobile-order-ahead-craze-2017-3.